petição: Help Dogs Like B.B. Take Action To End Puppy Mill Cruelty! Help Dogs Like B.B. 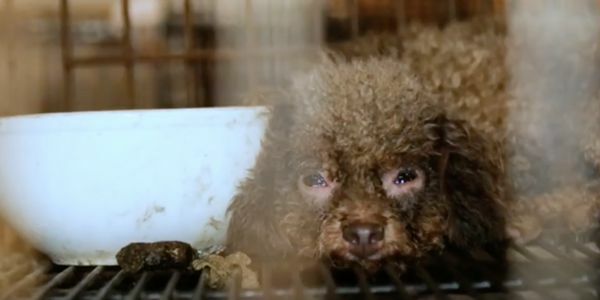 Take Action To End Puppy Mill Cruelty! We found B.B. in the basement of a North Carolina puppy mill. When the HSUS Animal Rescue Team found her, her eyes were nearly crusted shut. Her paws were matted with filth. She had never seen sunlight. Right now, thousands of animals are locked up in dark basements and crowded kennels – waiting to be saved. The puppy mill industry is one that should be dying. Instead, it's fighting back. Puppy mill operators are looking to expand operations with even less oversight. You can all help fight back against this cycle of cruelty by committing to adopt your next pet from a shelter or rescue, or purchase only from a responsible breeder who will show you where your puppy was born and raised. Then, do even more by purchasing pet supplies from stores and websites that don't sell puppies.